Columbia University, 2005. Ben meets Eve. Eve meets Ben. And not much of anything happens between them, until one day, they meet again, and it changes the course of their lives forever. Follow Eve and Ben as they navigate their twenties in the midst of New York City's twisty-turny streets, through first jobs, first dates, and first breakups; through first reunions, first betrayals and, finally, possibly, first real love. A timeless tale reimagined for the millennial era from two unapologetically original points of view, this is the story of what it means to find love in today's modern world. 1. Cohen introduces us to the impassioned, quirky Eve in the opening chapters of the novel, before revealing her tragic past. How did your impression of Eve evolve as you learned her backstory? 2. One could argue that New York City is the third protagonist in this novel, one whose characteristics shift dramatically at various points in the story. Eve’s description of living in the city ranges from “feeling like an ant trapped amid a towering maze of buildings, waiting for a giant shoe to crush you to death” (pg. 109) to the “damn city fit like a glove” (pg. 118). How does the setting both impact and reflect the characters’ emotional states throughout the novel? 3. On pg. 169, Ben says to Eve, “We’ve come into each other’s lives over and over again, and that’s fine. No big deal. But because we have, we begin to feel a destiny with each other.” Discuss the moments of serendipity that connect Ben and Eve. Do you think these coincidences are random, or are they, as Ben believes, a matter of “synchronicity”? 4. What do you make of Ben’s decision not to immediately tell Eve about the connection between his father and her mother? How would you have handled the situation? 5. Discuss the significance of Eve’s mother dying on 9/11. Do you think Eve’s experience of this significant loss would be different if it were not linked to such a public, large-scale tragedy? 6. On pg. 248, Jesse tells Eve that she’s in love with Ben because she’s “desperate to feel that way.” Do you agree with this statement? If so, does it minimize Eve’s relationship with Ben? 7. While discussing his job on pg. 136, Ben says “there is a certain satisfaction in bringing order to the ideas.” How does this sentiment hold true in his relationship with Eve? Ultimately, do you think Ben helps Eve bring order to her life, or does she accomplish this on her own? 8. Both the novel’s opening and closing scenes take place in Eve’s apartment. How does her definition of “home” change over the years? What major turning points shape her perceptions about where she lives, and where she wants to live? 9. On pg. 1, Eve recounts, “It was the journey that made it happen. No sense regretting the stops along the way.” Ben echoes her on pg. 313, claiming that “you couldn’t fully appreciate a sunny day unless you’d come in from a storm.” Do you agree with them? Has this statement held true at any point in your life? 10. Reread the prologue and discuss how your interpretation has changed now that you’ve finished the book. Would you consider either Ben or Eve reliable narrators in these opening passages? 11. What future do you envision for Ben and Eve beyond the last page of the book? 1. In the prologue, Eve describes “the streets, apartment buildings, bars and restaurants . . . A part of the story will always remain in those places, as if stranded in time” (pg. 2). Ask each member of your book club to bring a photo or memento from a physical place that triggers a memory for them, and share the stories that stay “stranded in time” for each of you. 2. Cast the film version of This Love Story Will Self-Destruct. Which actors, living or dead, would you chose to play the novel’s characters? 3. Host a New York City–themed book club: discuss This Love Story Will Self-Destruct over brunch or happy hour, snack on bagels and lox or pizza, and decorate accordingly. 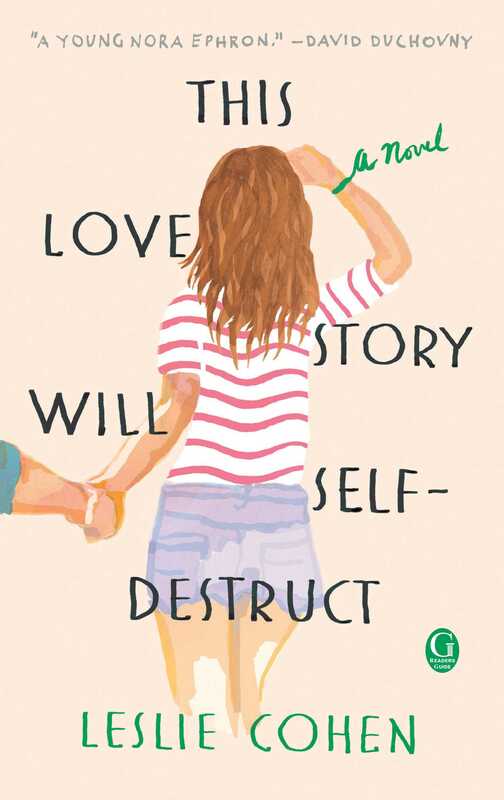 "This Love Story Will Self-Destruct by Leslie Cohen beautifully demonstrates a profound truth about growing up... It's a book about the journey, not the destination. It's about the changes within. It's about a woman finding the courage and strength she needs to become who she is meant to be. While reading it, I found that maybe I could find the courage to accept my past — the parts that are gone and the parts that remain — and forge ahead on my new path." "What’s better than love at first sight? A surprise romance, growing over time. This is a Big Apple confection worthy of its dazzling backdrop." 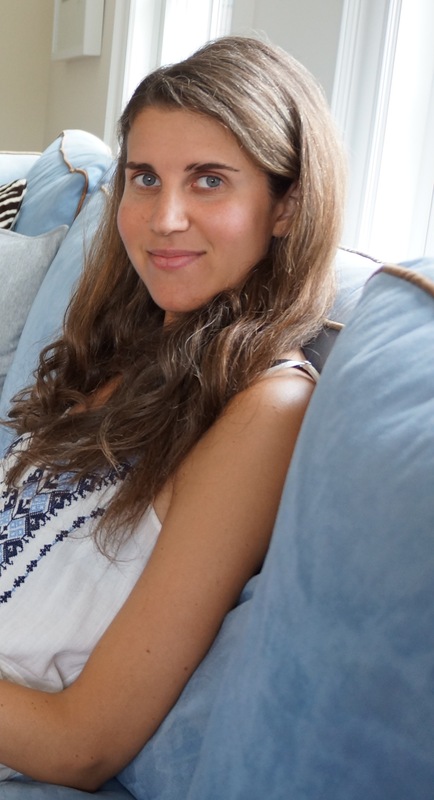 "Cohen’s debut is a traditional romance with a contemporary twist, a truly 21st-century love story that’s as complex and challenging as the times in which it’s set." "Think When Harry Met Sally... updated."